32% discount on men coats and jackets which is an attractive deal on ranges of men blazers, trench coats, denim jackets, parkas, leather jackets, lightweight jackets and others. 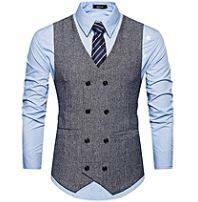 It also consists of quality men's brands from top manufacturers and suppliers and can be shipped from anywhere in Lagos, Port Harcourt, Abuja and from other parts of Nigeria. Finelib.com © 2016 - Copyright All Rights Reserved.